D&S Security furnishes “exclusively industrial” Vernon with the access control and security systems it needs to stay prosperous as one of Southern California’s most important manufacturing hubs. If you own one of the denim manufacturers or other clothing factories in Vernon, you are keenly aware of the flammability of your stock. D&S Security can install a sensitive fire alarm system to keep your raw stock of fabric from going up in flames. Fire protection is equally important in Vernon’s paper mill industry, which produces packing supplies, corrugated boxes, wallboard, napkins, tissue, and paper towels. Count on D&S Security to equip your paper mill with an effective fire alarm system and continuous remote monitoring, ensuring that your workers will be out of harm’s way, and your inventory will be kept safe. Deter break-ins at your artisan glass manufacturing facility with a burglar alarm system from D&S Security. Using a combination of tools appropriate to your space, such as electronic sensors, motion detectors, strobe lights, and surveillance cameras, D&S Security will fortify your entryways and loading docks. A constant connection between your burglar alarm system and a manned command center means that any burglary attempts can be swiftly thwarted. With tens or even hundreds of thousands of dollars’ worth of inventory on the shelves of your Vernon warehouse, a large chunk of your business’s book value is vulnerable to damage or theft. D&S Security will choose the most appropriate type of surveillance camera for each part of your warehouse, creating a comprehensive video surveillance network. The video surveillance feed can be displayed on integrated CCTV systems. Access the video feed remotely from a secure app, so you can monitor your warehouse’s status even while you’re away on business. With streamlined access control systems from D&S Security, you’ll be able to give seasonal workers limited, temporary access to the main warehouse or loading docks…while preventing them from entering office areas or manipulating the controls of your automated storage and retrieval system. With very few residents and nearly two thousand businesses, Vernon provides jobs for roughly 50,000 people in the greater Los Angeles area. Tapatío Hot Sauce, Gaviña Gourmet Coffee, Bon Appetit Bakery, and Simply Fresh Fruit tantalize America’s taste buds with delicacies from their Vernon production facilities. Denim labels 7 For All Mankind and Lucky Brand Jeans produce their casual fashions in Vernon. Industrial fabricators like World Machinery & Saw, PABCO Paper, Romeo Power Technology, and Barksdale Control Products continue the proud tradition of American manufacturing. 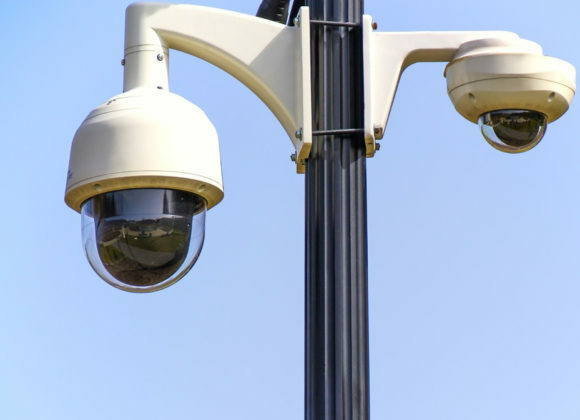 D&S Security takes pride in protecting Vernon’s thriving industrial community with the most advanced security systems available. We work with our business clients to design tailor-made security systems, making them easy to use and customized to each company’s needs. Call D&S Security now at 800-521-1958 to discover how our business can serve yours.